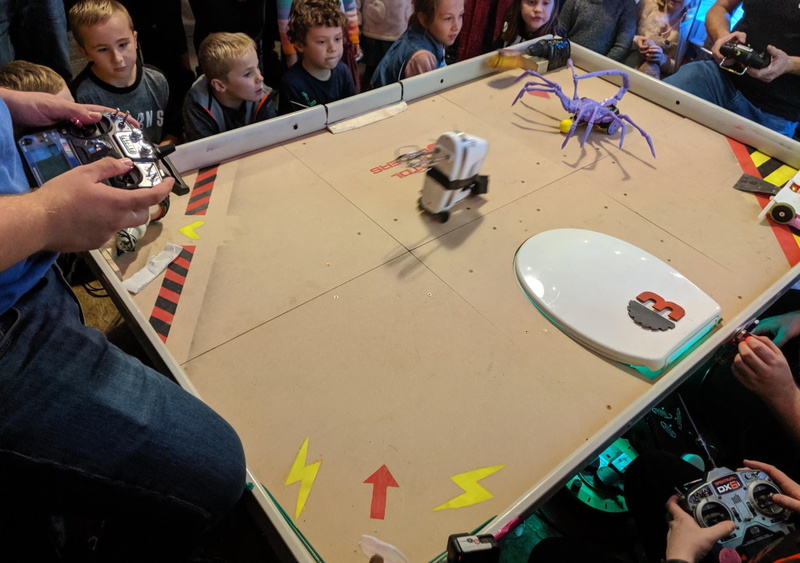 A bodgebot is an combat robot, however it’s thoroughly ‘bodged’ - often made last minute from bits of scrap, tape and a lot of glue and costs maximum £40. It’s an opportunity to try out fun concepts and be daft with your builds. Bodgebot rules below! What to expect from the ‘arena’ - bumps, gaps, ‘walls’, housebot, uneven floor! 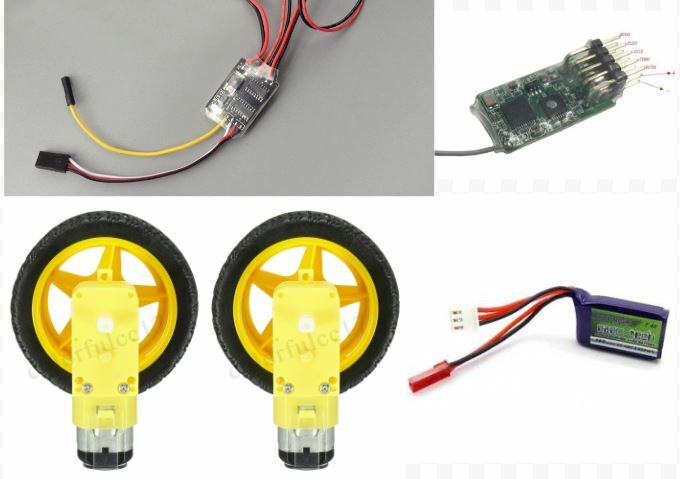 We’re offering a kit that has all the electronics you need to make a drivable bot - 2 motors & wheels, a speed controller, a receiver and a battery. You’ll still need to plug it all together, solder the motors on and make a chassis and weapon. 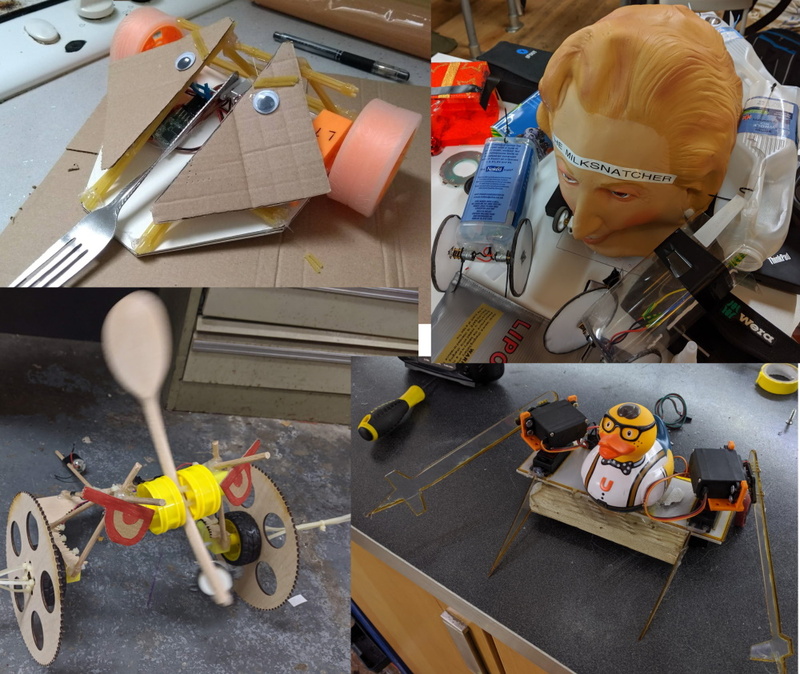 We can do this all at the hackspace on the day, just bring parts for your chassis / weapons / decorations! If you’d like a kit, please order it asap - you need to order it before the end of 8th May (due to postage time before the event!) 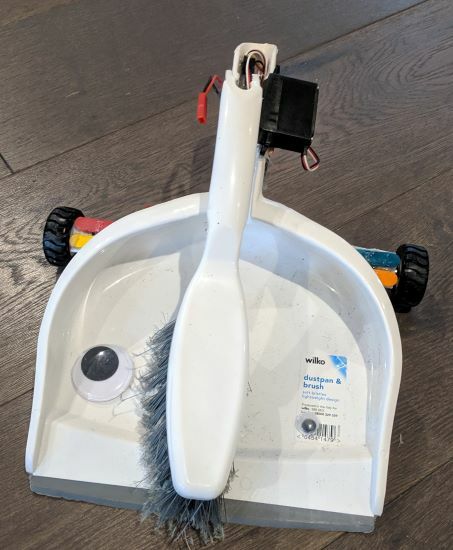 It’s £20 and you can order by our paypal: bristolbotbuilders.com/donate and we’ll have it ready for you at the build event. We will have controllers and chargers to loan for the day (you may have to share controllers!) 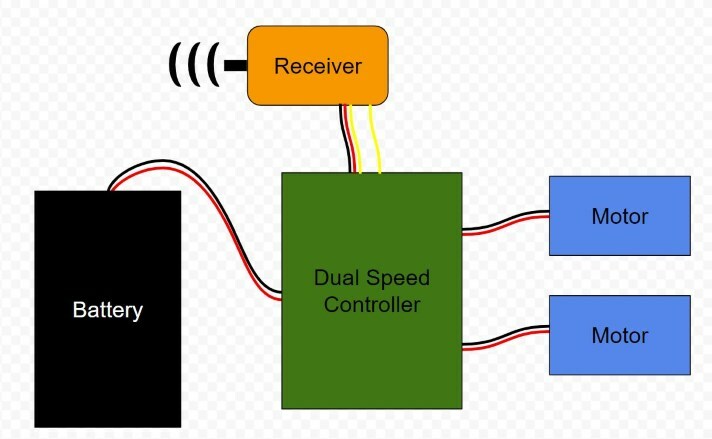 Receiver will be DSM2 so usable with controllers like Devos, blades etc. The fights are so much more fun with active weapons - you can easily add a lifter / grabber / axe with a cheap servo like this one. We may have some available for purchase on the day but do not rely on this. • Liquids may not be used in combat situations. • The giant rubber duck was £5.